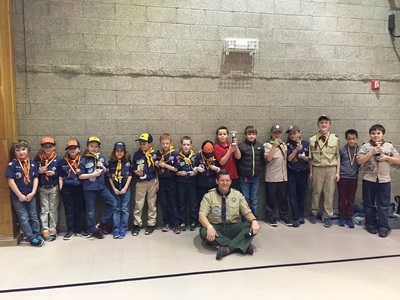 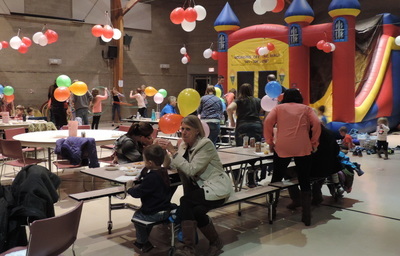 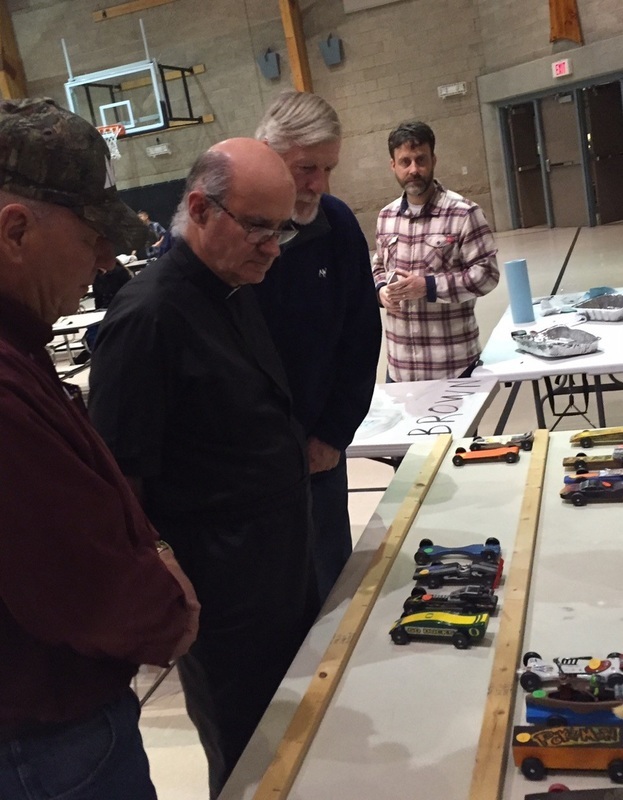 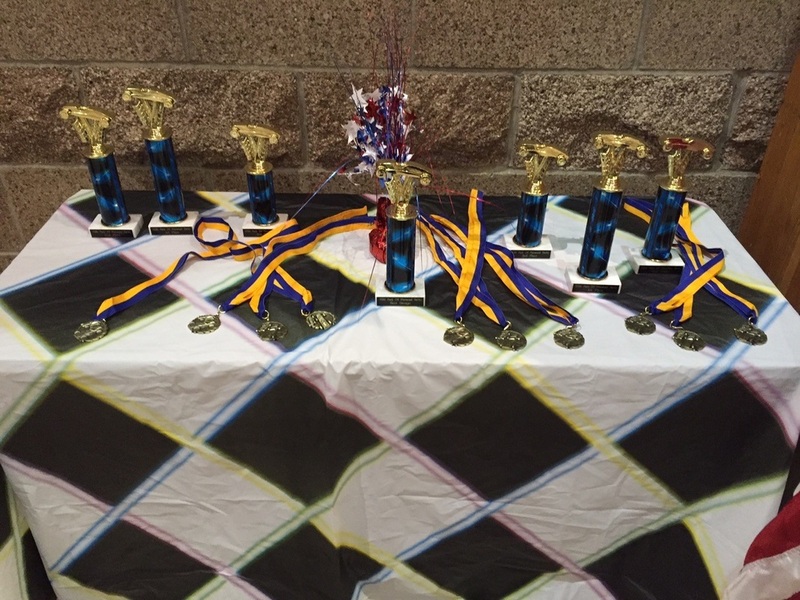 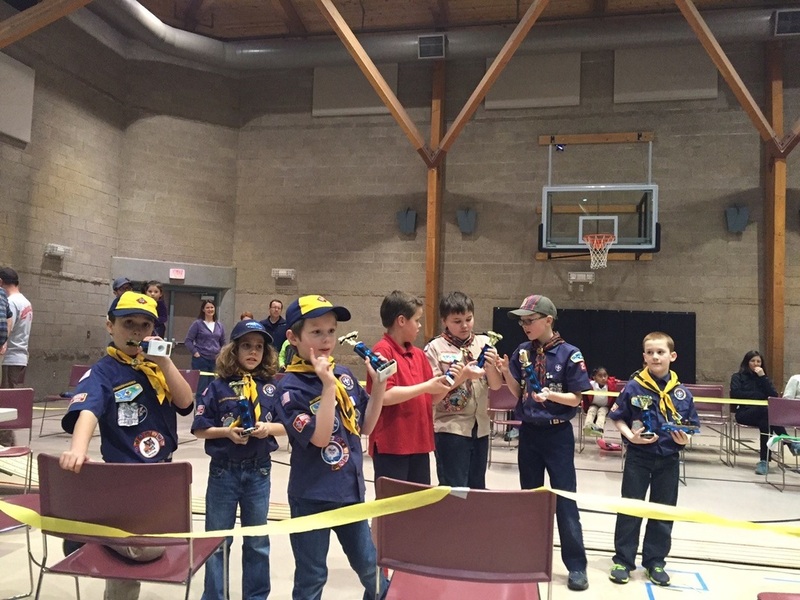 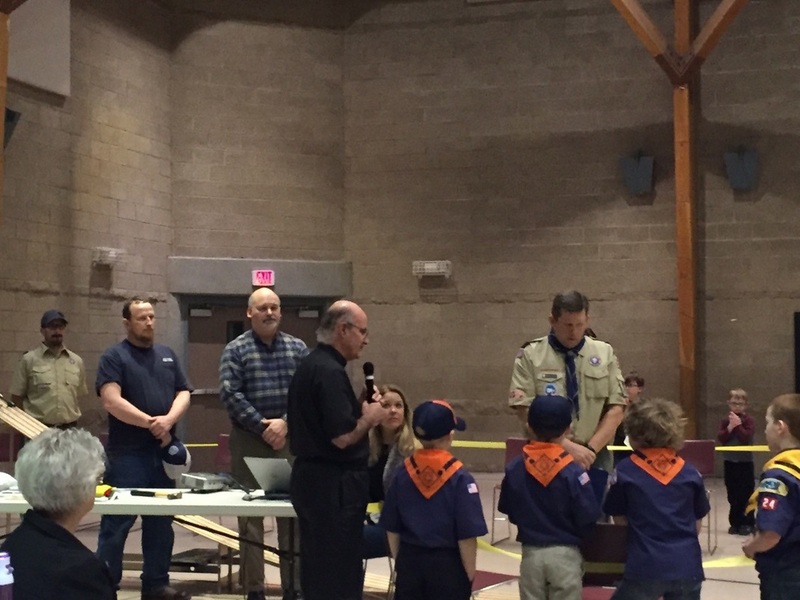 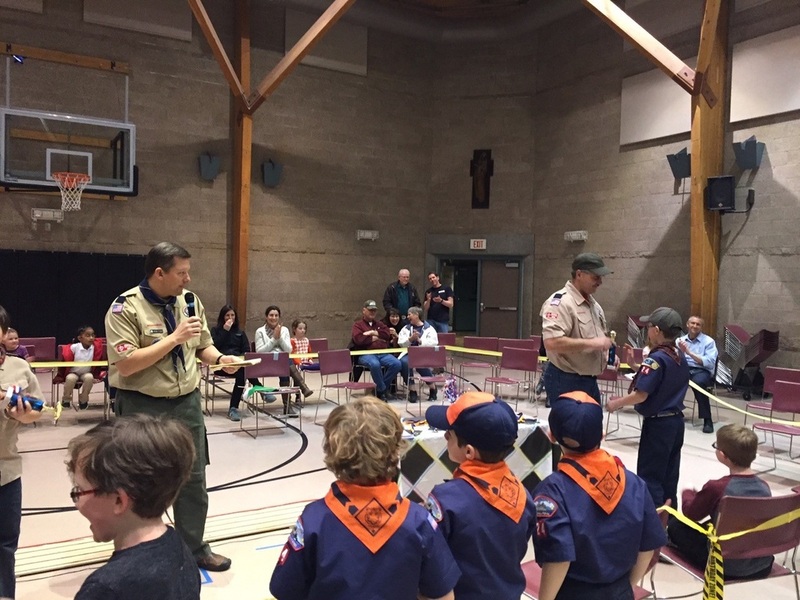 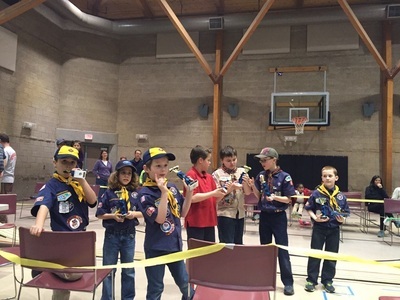 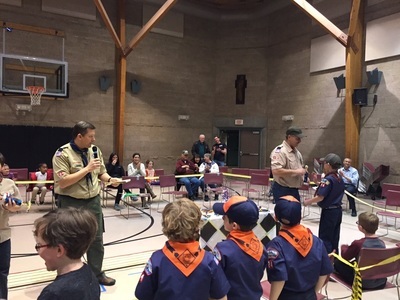 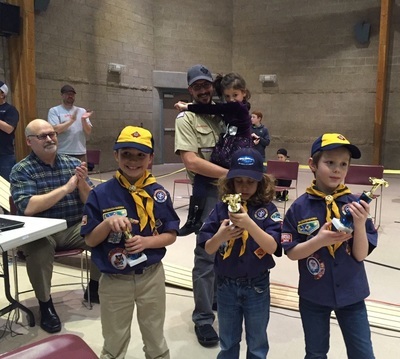 The Pinewood Derby was held on Thursday February 4 at the Community Center with a handful of Webelos, and Cub Scouts participating in a well-organized event which entire families enjoyed. 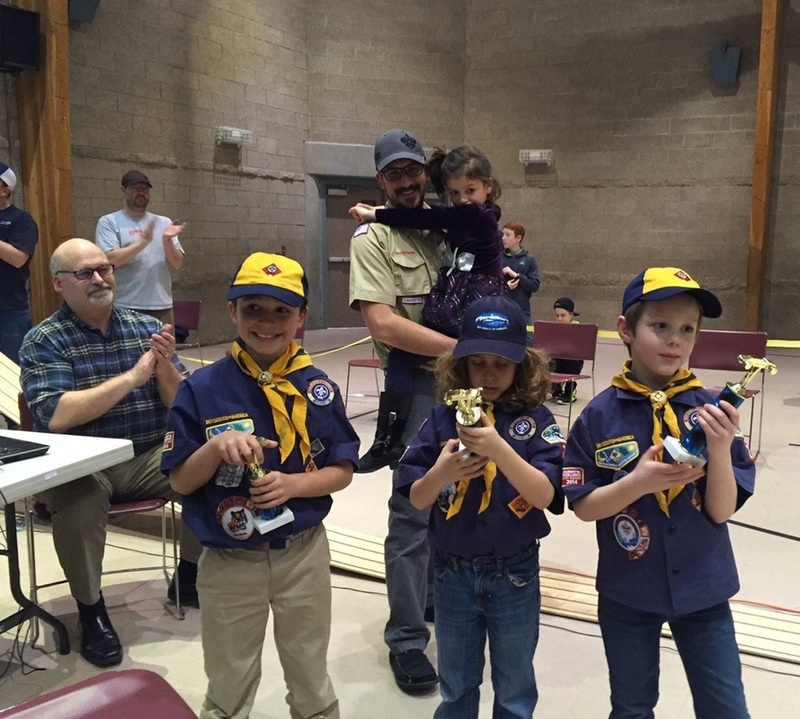 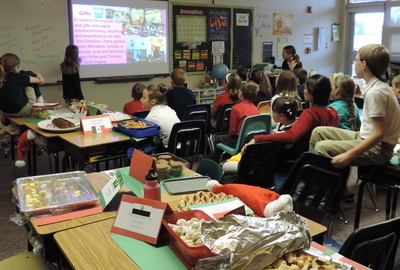 Click on the above photos to see some of the proceedings, including the winners with their trophies. Medals were also given to all participants. 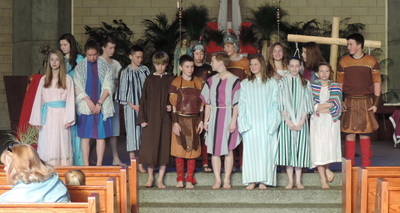 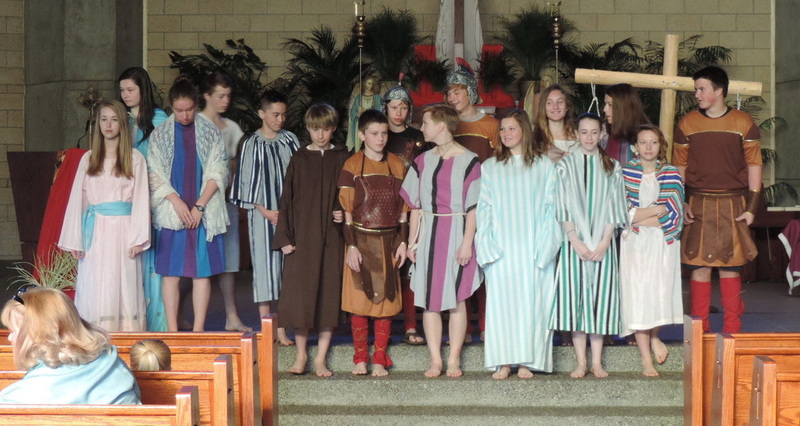 The Lumen Christi medal was presented on Sunday February 7 during the 10 AM Mass to 7 of our cub scouts. 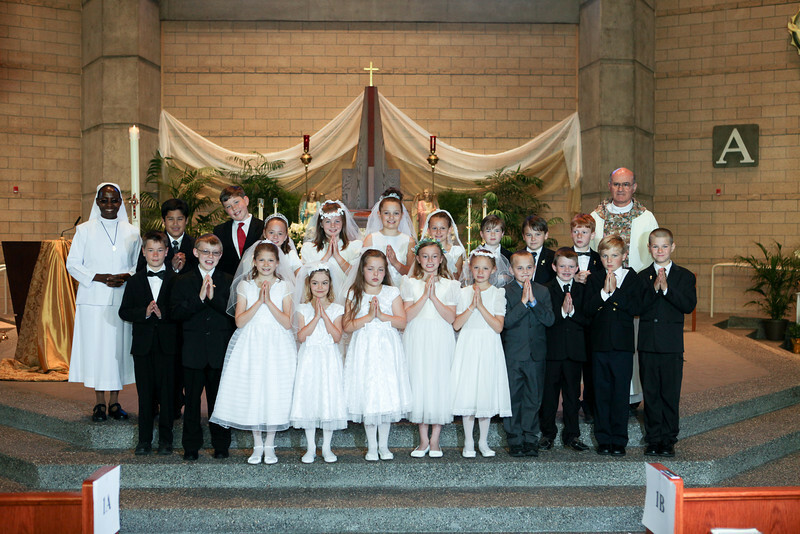 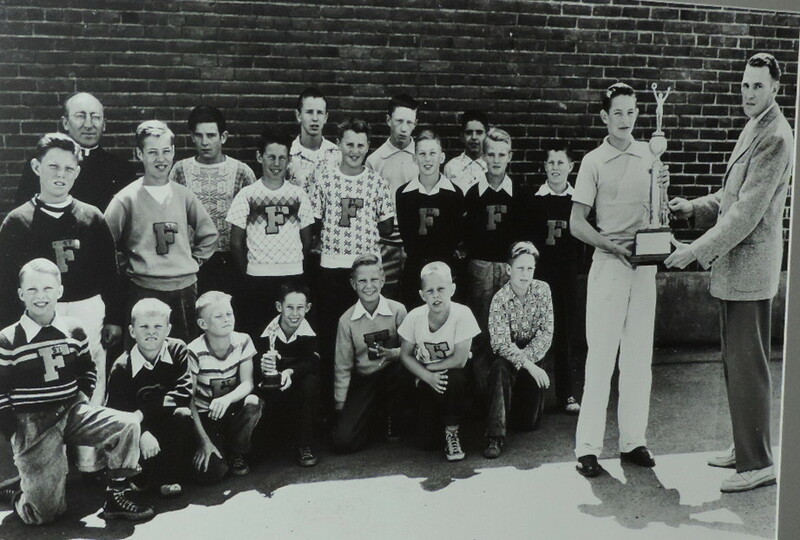 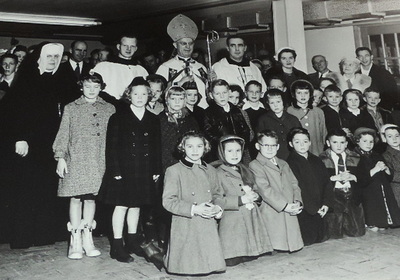 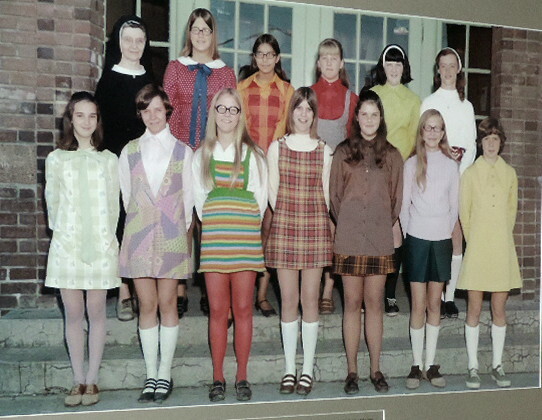 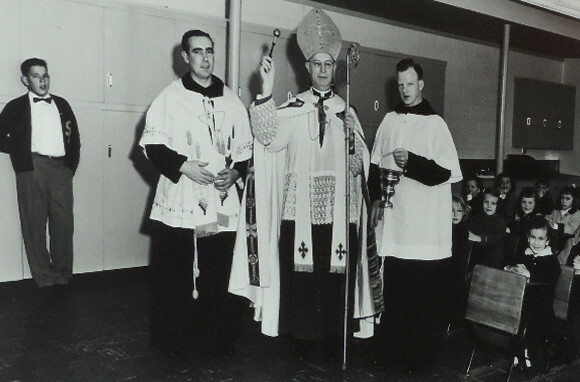 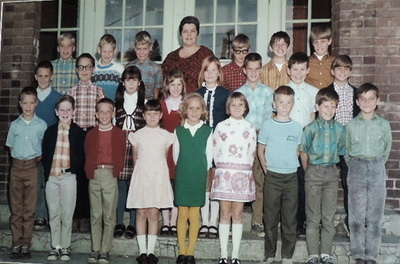 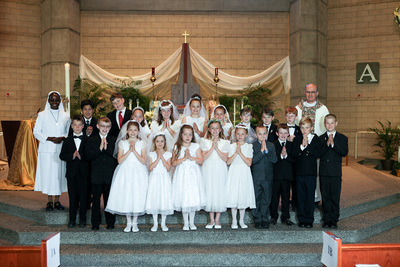 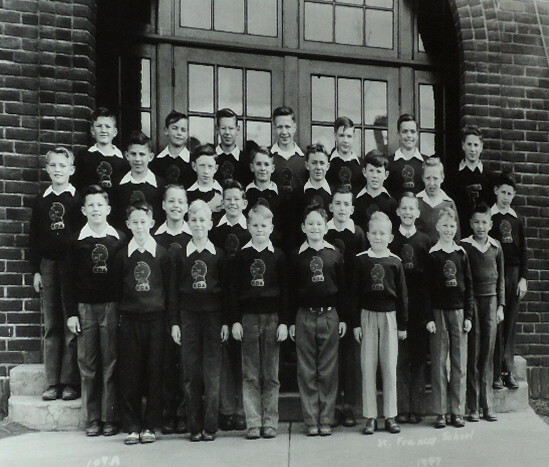 We look forward enthusiastically this year to celebrate 80 years of St. Francis School, which opened in 1936 where present-day McMenimans is located. 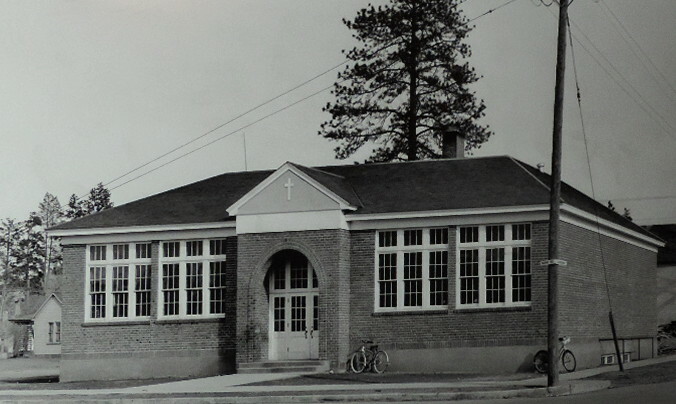 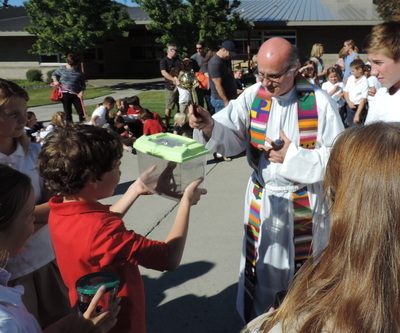 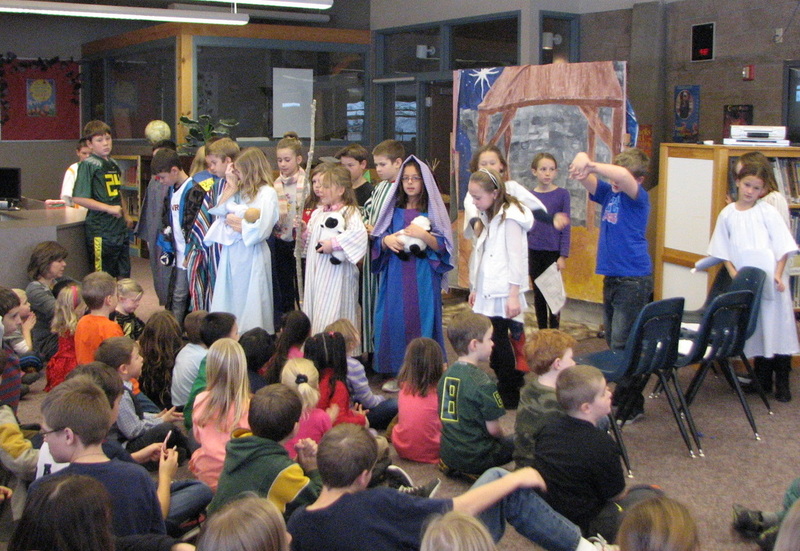 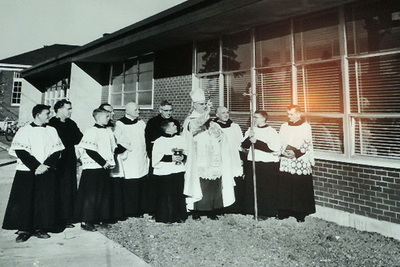 The new school was built in the year 2000, along with the Parish Offices and the Community Center. 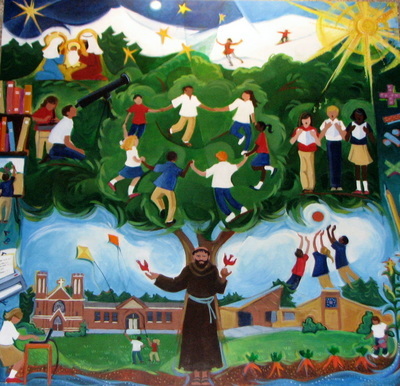 Science - Technology - Religion - Engineering - Arts - Math. faith; a mission of love and service. 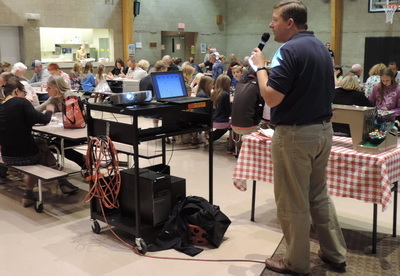 Our teachers are certified, competent educators who model Christ’s teachings, respect for others, and a virtuous life— defined as moral excellence and integrity. 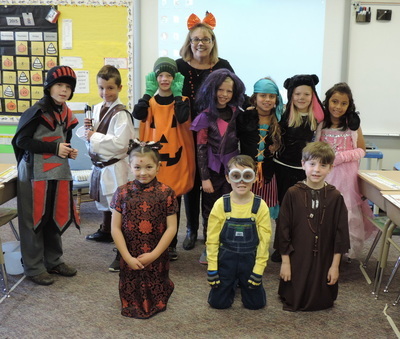 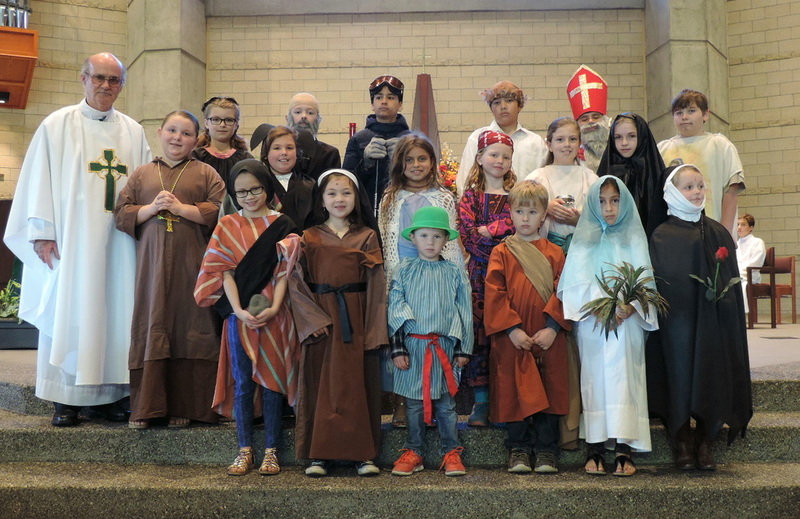 Our student/teacher ratios allow time for individual emotional, spiritual, social, and academic encouragement for all students. 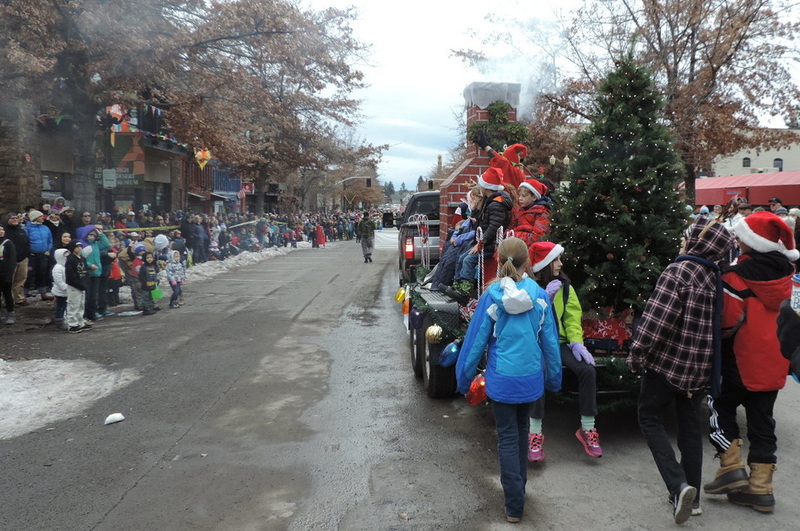 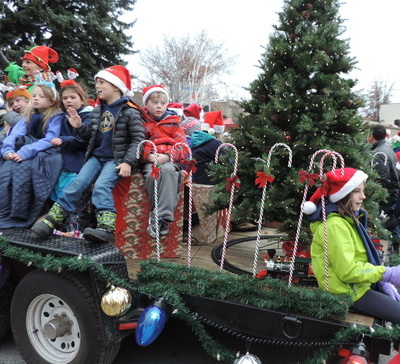 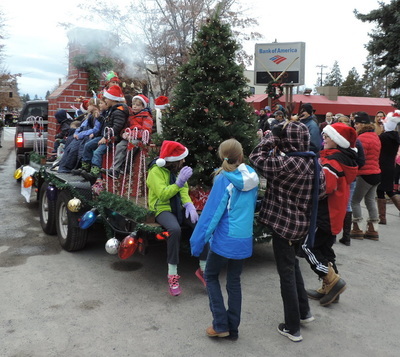 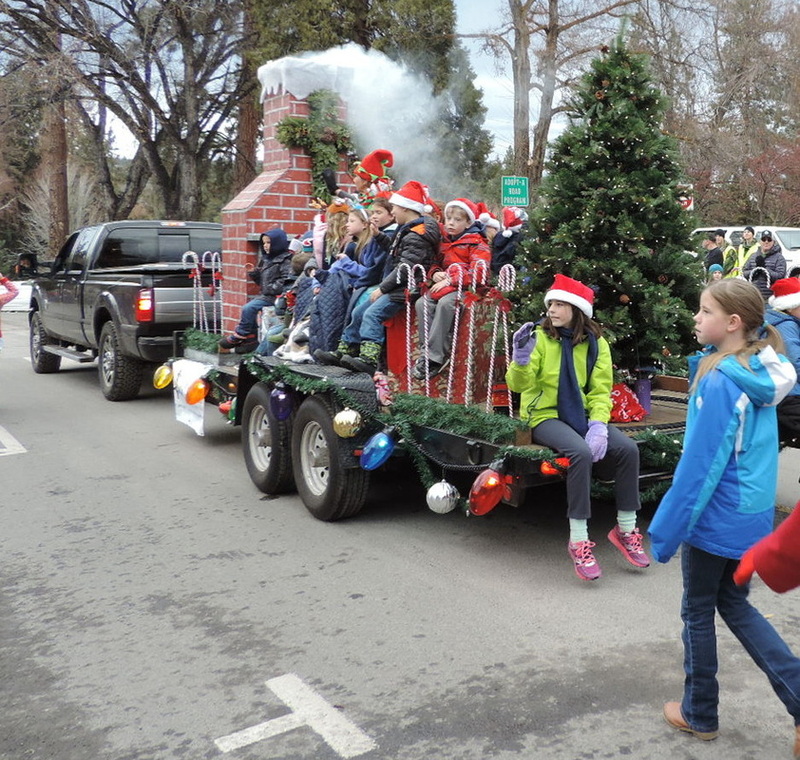 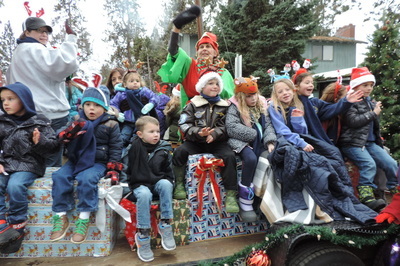 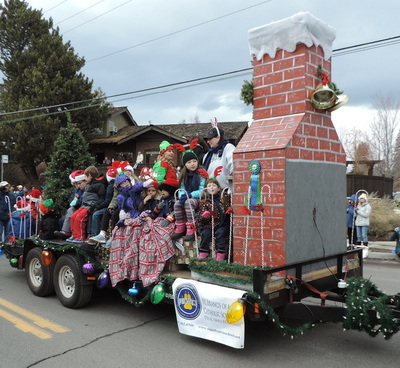 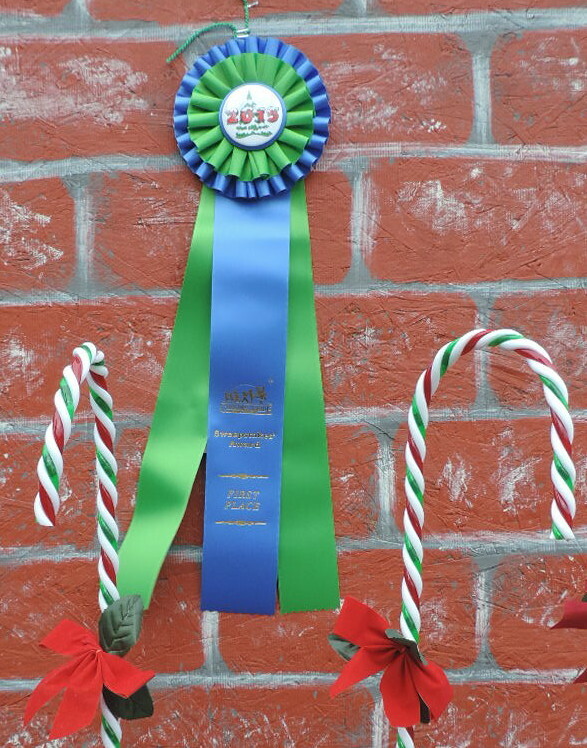 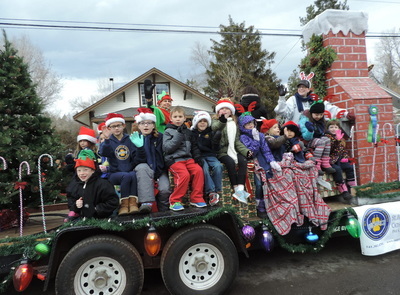 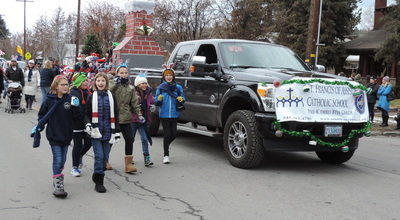 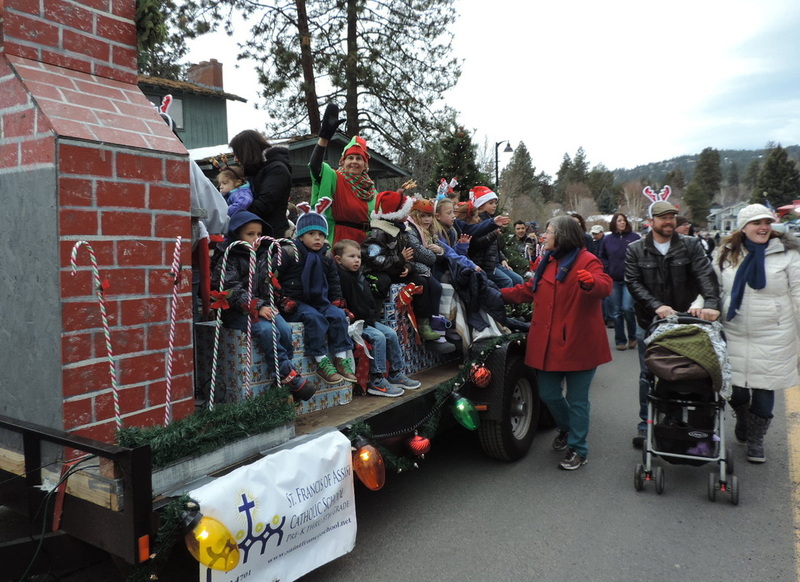 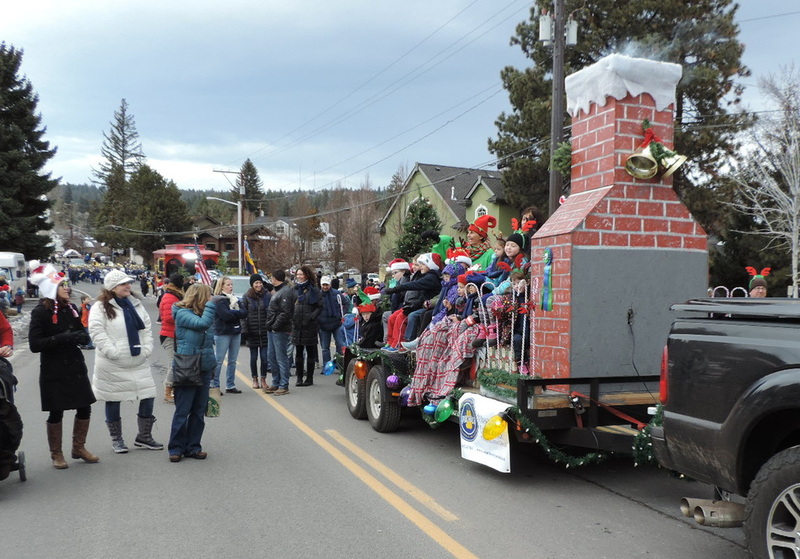 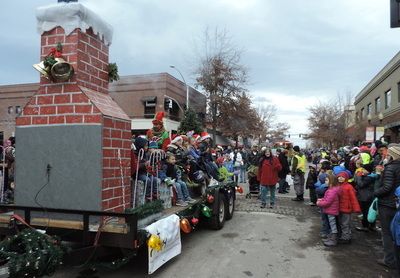 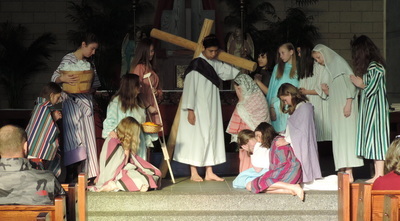 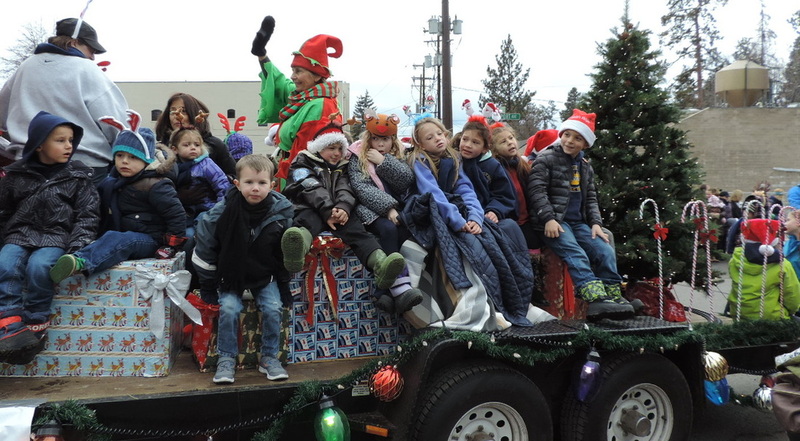 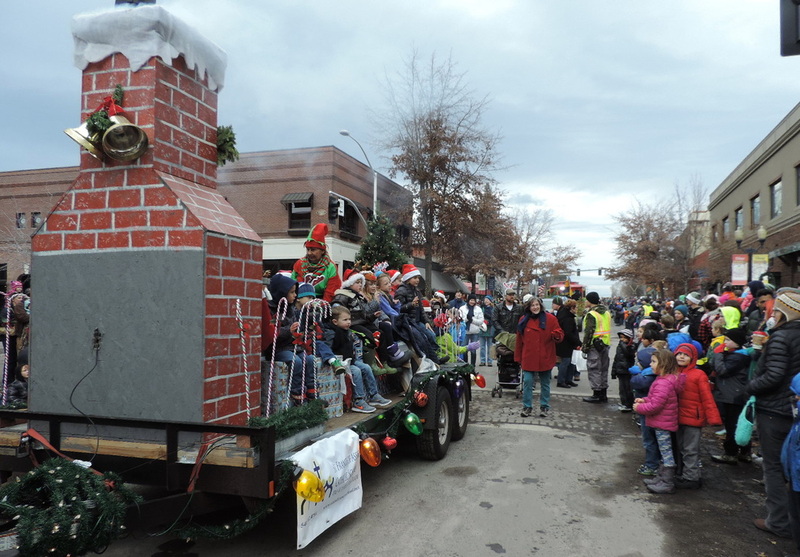 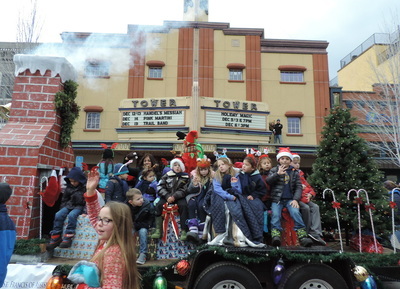 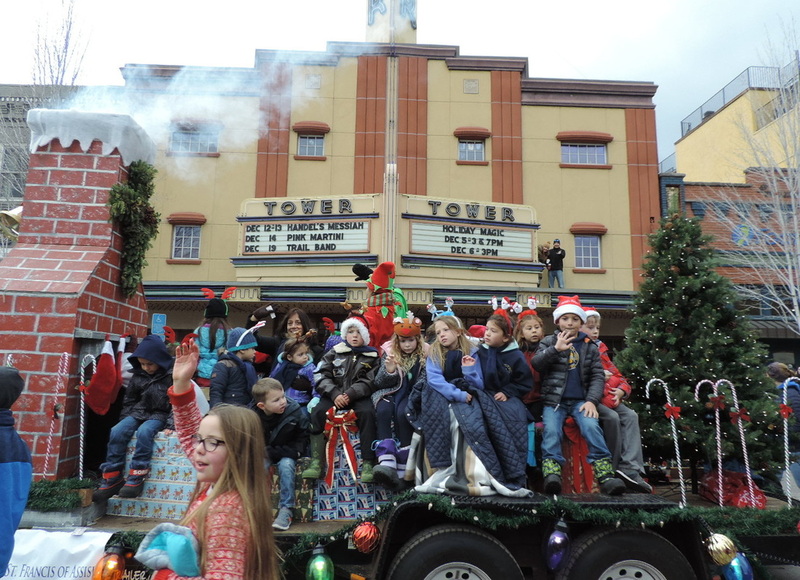 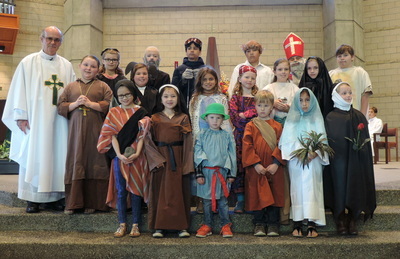 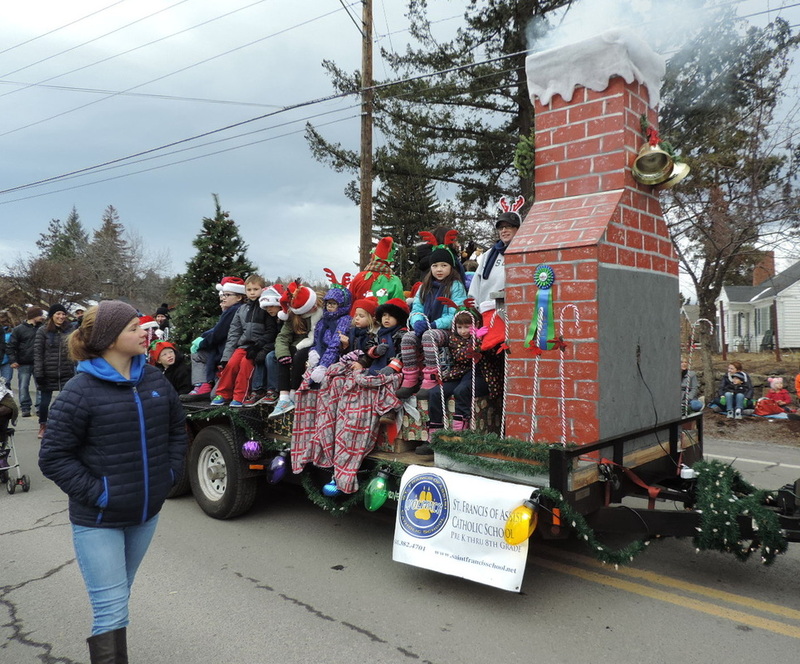 Photos from the Christmas Parade with the St. Francis Parish School float, held on Saturday, December 5, 2015, in downtown Bend.